This novel provides a highly charged examination of human suffering and human sacrifice, private experience and public history, during the French Revolution. 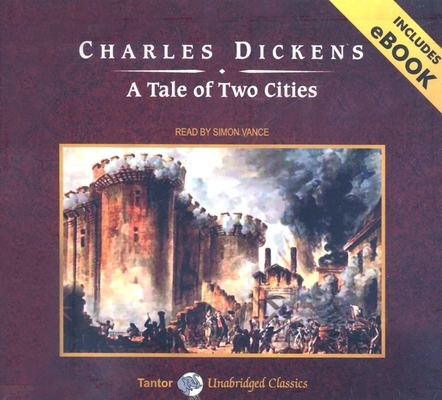 A Tale of Two Cities is one of Charles Dickens's most exciting novels. Set against the backdrop of the French Revolution, it tells the story of a family threatened by the terrible events of the past. Doctor Manette was wrongly imprisoned in the Bastille for eighteen years without trial by the aristocratic authorities. Finally released, he is reunited with his daughter, Lucie, who despite her French ancestry has been brought up in London. Lucie falls in love with Charles Darnay, another expatriate, who has abandoned wealth and a title in France because of his political convictions. When revolution breaks out in Paris, Darnay returns to the city to help an old family servant, but there he is arrested because of the crimes committed by his relations. His wife, Lucie, their young daughter, and her aged father follow him across the channel, thus putting all their lives in danger.